Chinese mobile phone manufacturer ZTE has put on a whopping 150% increase in European sales in the first half of 2010, hitting the 1 million handsets mark in the UK. ZTE is not yet a familiar name in the UK, but the company is keen to spread the word that it is putting on a huge growth spurt in terms of global sales. It has shipped 28 million handsets globally, 17 million of those outside of its home market of China. And although that represents a respectable 30 per cent growth, its European growth is 150 per cent , aided by the sale of 1 million handsets in Britain and a similar number in France. "ZTE partnered with top operators in Europe, and received widespread recognition from clients through its work in custom-made Android smartphone handsets and WCDMA custom-made units,"explained ZTE's release. In the important US market, ZTE is celebrating a deal to produce a custom handset for service provider giant Verizon. 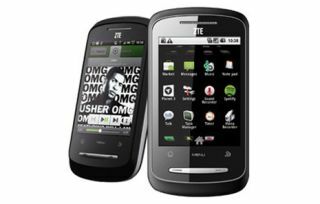 "In the first half of 2010, ZTE launched nearly 10 types of Android handsets, including the Racer, Link and X850 models which have been adopted by H3G in the UK," said ZTE. "As a partner of Microsoft, ZTE is working closely on Windows Phone 7.0 product development after the global launch of the WM6.5 handset last October in Portugal and other countries."